In its third edition, the Dhaka Art Summit challenged itself by producing a four day exhibition of art from varying disciplines across most of South Asia. It was a moment of intense pride to witness Pakistani artists in full force throughout the summit – perhaps the greatest part of all. To begin with, Nada Raza, assistant curator of the South Asian Department at the Tate Modern, mounted an exhibition inspired by the written work of Jagadish Chandra Bose, particularly “The Story of the Missing One” which the exhibition’s title ‘The Missing One’ paid homage to. The story was the first instance of science fiction in Bangla, which was written in 1896, and spoke of a cyclone that terrorized the area by depositing oil into water and was eventually brought to its demise by the former. The show revolved around the work of Gaganendranth Tagore’s “Resurrection,” executed in 1922. The exhibition included artists David Alesworth, Fahd Burki, Ali Kazim, Ifthikhar and Elizabeth Dadi, Mehreen Murtaza Zoya Siddiqui and several others. 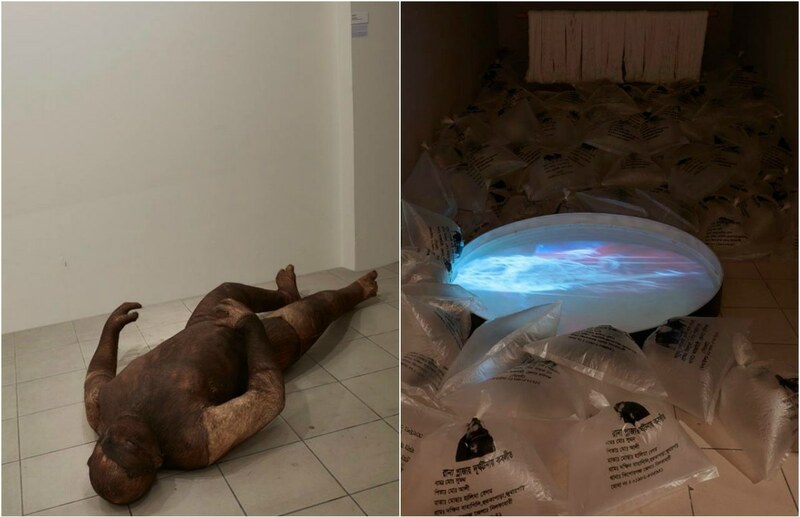 To see the variety of artists included, from the young BNU graduate, Zoya Siddqui to recent the Jameel Prize nominee David Alesworth, and exhibited on such a large global platform was remarkably refreshing. Visitors including Frances Morris, Director of the Tate Modern, regarded the exhibition in high esteem. Diana Campbell Betancourt, who has been with the Summit since its inception and plays the key role as Artistic Director and Chief Curator, created an exhibition entitled, ‘Mining Warm Data’. The group show examined how one is viewed through lenses of different methodologies of science, social economics and art. Huma Mulji’s work, Lost and Found played a critical role in the show as well, with the examination of the body and how it is perceived, especially in these turbulent times of violence in Pakistan, where citizens reminisce over the past and try to predict the future and what it may hold for the country. While to one audience, the work seem somewhat grotesque; to others it may be fresh point of view towards other aspects of life and how one sees oneself in the future. The other work, which stood out in the exhibition, was by Dilar Begum Jolly, another Bangla artist. Begum Jolly examined the scrutiny against women in the country and how the garment industry takes gross advantage of these women. These women risk their lives in creating clothes for the elite and western market, calling into question at what cost and purpose, the artist skeptical over its benefits for those who struggle to provide for their family. ‘Rewind’, was another strong suit for the Pakistani presence in Dhaka. 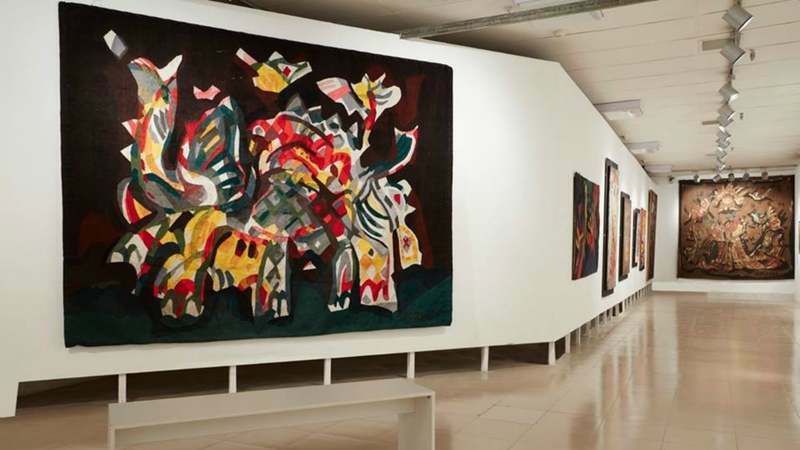 The retrospective took works from all around the world of artists using abstraction in the 1980s in South Asia, which featured Anwar Jalal Shemza and Zahoor ul Akhlaq. The exhibition included two works of Akhlaq’s, which were part of the Bangladeshi Embassy, never before being seen in the public eye. The concept of abstraction has only been a minor factor in the South Asian master’s, where most marketed artists have been associated with the figurative work. These artists were using their surrounding environment while going against the grain to create their body of work to develop a larger dialogue. 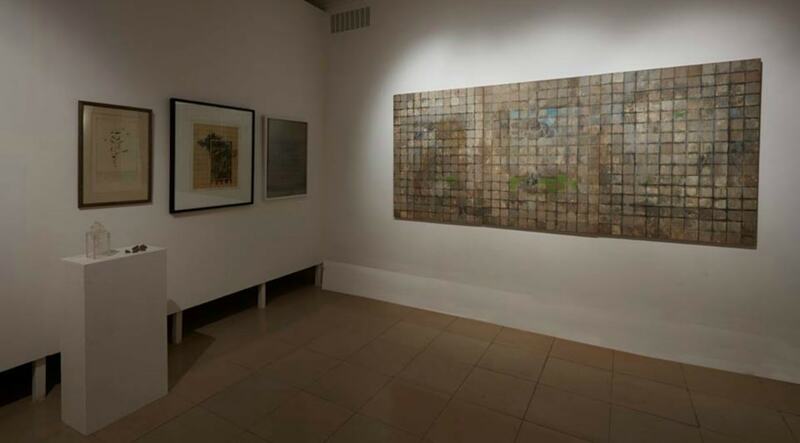 Many artists today, such as Shezad Dawood and Rashid Rana, credit artists such as Shemza and Akhlaq as inspiration for their own contemporary works. 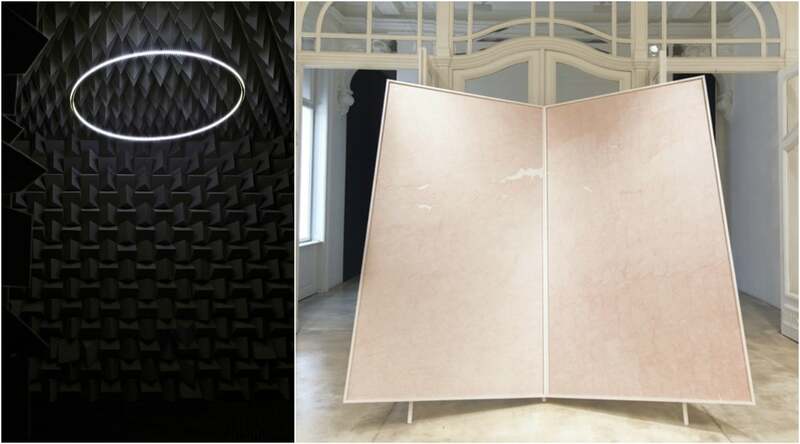 The solo projects, curated by Diana Campbell Betancourt, featured Waqas Khan and Britain-based Pakistani artist Haroon Mirza. Mirza’s work, The National Apavilion of Then and Now was first exhibited in the 54th Venice Biennale with great acclaim, resulting in his bestowal of the Silver Lion award as the most gifted young artist. Mirza uses the construction and concept of sound and visual perception to shift the audience into reconceptualising the forms they are surrounded by in the physical realm. With a shifting halo of white light, the work provided illumination of the darkness by creating grey pyramid forms, taking over the entirety of the cube-shaped space. The viewer was transported through the buzzing sound and began to focus on the light and form of the entire transcendent work. Khan’s work In the Name of God, was comprised of four large books, each with the intricate detailing. With the absence of space, Khan has created a dialogue which would be interpreted by all viewers. Tactfully, Khan displayed the manuscripts in the same orientation that the Holy Qu’ran is displayed. His work very much reflects his momentary emotion at execution, which could be seen in the flow of the lines and dots created by the artist. From the commencement of the Summit, founders Rajeeb and Nadia Samdani had achieved an impressive display of South Asian art in various media, while bringing the global art market and audiences to Dhaka. To see Pakistani artists exhibited so generously throughout the summit was truly awe inspiring; it can only bring more faith to us back home to know we can achieve such acclaim in South Asia and, soon, our own country.